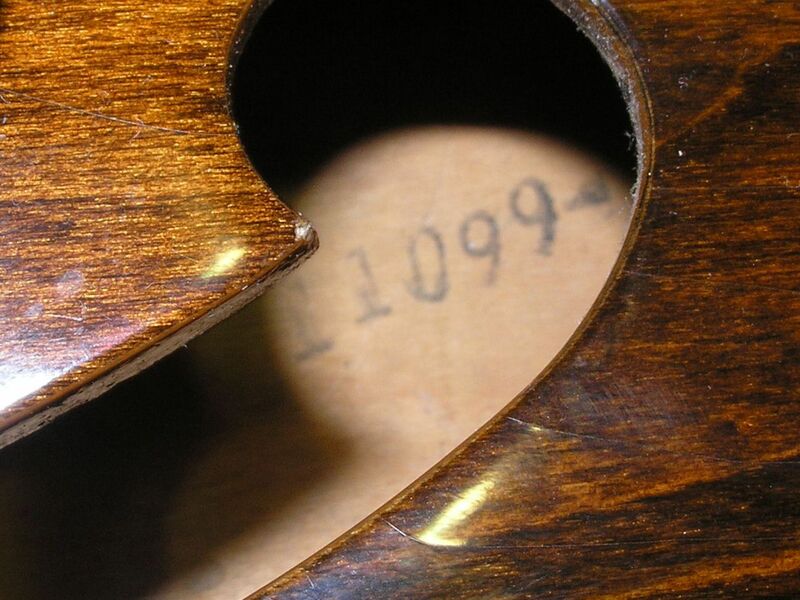 I have a 355TDW mono no VT, from 1969 with a FON, with in the F-hole (treble side) this marking (in blue ink): I1099-. FON supposed to stop after 1961? Or didn’t keep Gibson records after 1961 of FON’s? There is no record of Gibson using FON’s during that era. If they did, a 69 would have been designated by the letter “I”, so maybe they did use them for a time in the late 60’s/ early 70’s or maybe somebody thought it would be clever to add a credible FON in their guitar. 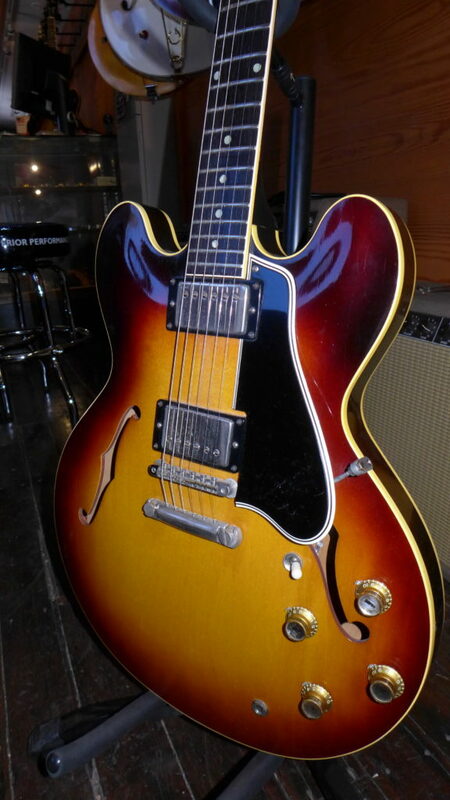 I don’t see very many late 60’s 335’s so I don’t have a large sample to compare. 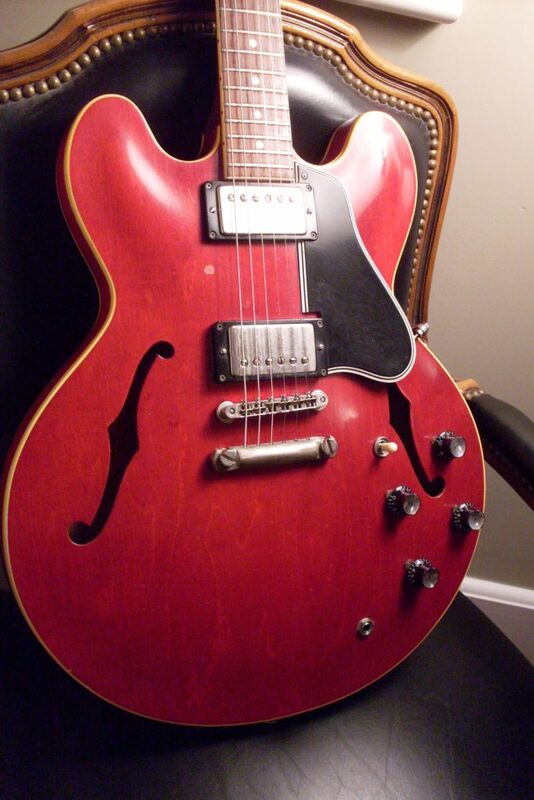 I had a ’61 335 (serial number 1000X) that had the skinny neck profile but was a good sounding fiddle. Quite a lightweight example too! Always vaguely wondered why the cutout in the pickguard for the neck pickup was always neatly done but the cutout for the bridge pickup was always oversized. did Gibson do stuff like that? The I does not look like an I to me, to me it looks like two times 1, which makes it a normal serial number, referring to 1961. 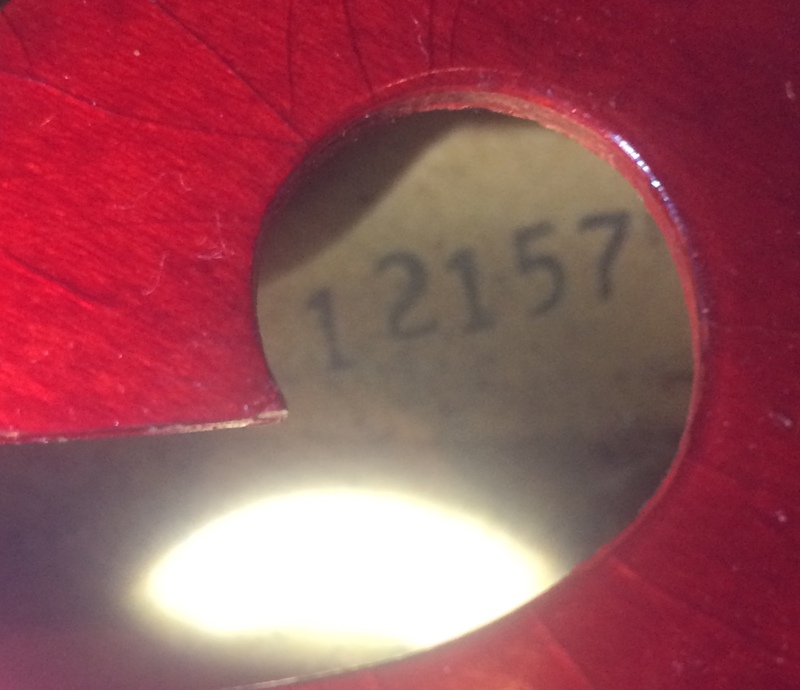 Serial number 814235 would indeed refer to 1969. Maybe it’s an older body that they still had at the factory and they attached the neck in 1969? I have attached the specs of this model, taken from the Gruhns Guide to Vintage Guitars, maybe these will help you further as well. RAB, check my ’61 stop/Bigsby on the “335” header section of this websites homepage. Perfectly reasonable question. I have no reasonable answer. I could guess that they made the template over sized because there is more variation in the location of the rout for the bridge pickup than there is for the neck pickup. I could also guess that they were simply lazy and sloppy. I have a 69 ES 345TDC-SV with a FON and a Brazilian board?